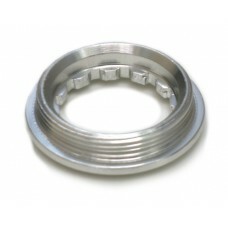 30.5 mm lockring for Shimano hubs. Fits for cassettes starting with 11. 10 speed cassette for Shimano. Marchisio MTK cassette for Shimano compatible hubs.The cassette can .. Conversion cassette10 speed cassette for Campagnolo with a Mavic M10 hub. Marchisio MTK cassette fo..
11 speed cassette for Shimano.Marchisio MTK cassette for Shimano 11 speed compatible hubs.The casset..
Marchisio 8 speed casette for Shimano. The cassette includes all required parts except of the lockr..
Marchisio 9 speed casette for Shimano. The cassette includes all required parts except of the lockr..